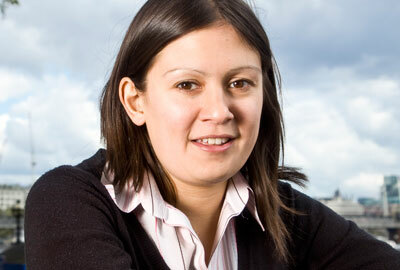 Lisa Nandy, the Labour MP for Wigan, has criticised the Charity Commission after it decided for a second time not to investigate allegations of party political activity by the New Schools Network, a charity set up to provide advice about free schools. Nandy wrote to the regulator in September to draw its attention to an article in The Guardian newspaper. The article also said a staff member working for the education secretary, Michael Gove, had asked the New Schools Network’s director, Rachel Wolf, to provide the Prime Minister, David Cameron, with a "line to take" in response to concerns about the government’s free schools policy. Wolf said in the article she was confident that the charity did not do anything inappropriate. Nandy’s letter to the commission last month says: "The emails [reported by The Guardian] reveal that charity officials were called upon to act as advisers to government ministers for political purposes… Taken together, the emails suggest that the charity’s purpose is in fact to act as a catalyst for Conservative Party policy. It calls into question both the role of the NSN and its ability to act as an independent agency." In response to her complaint, the regulator’s head of specialist casework, Neil Robertson, wrote: "There is nothing in the Guardian article which suggests that the trustees of the charity were involved in pressurising the Department for Education to provide funding. "Nor has any evidence been presented to us to suggest that the trustees have acted improperly." The commission’s letter also said it had seen a copy of the grant-funding agreement between the department and the charity. "Having read that, we are satisfied that it does not require the charity to behave in a manner inconsistent with its objects as presently recorded on the register of charities, nor with our guidance on political activities and campaigning," it said. Nandy told Third Sector she was not satisfied with the commission’s response to her complaint. "I am disappointed that it doesn’t think there’s a need to look into my complaint because I think the emails are really concerning," she said. "It seems to me that there was a lack of political independence and this is something the commission ought to look at. "I do accept that the commission has quite a narrow remit, but when there is evidence like this it should be looked into." Nandy said she had previously complained to the commission shortly after the 2010 general election, when the Department for Education awarded a £500,000 grant to the charity. She said she was concerned at the time that the grant had been awarded without a competitive tendering process. In response to her 2010 complaint, the regulator did not open a formal investigation but it wrote to the trustees to remind them of the need to remain politically impartial. Wolf said: "Every complaint Lisa Nandy has made – to the Charity Commission and others – has been dismissed. Her only reason to continue is to try and discredit the free school programme in the press, because she knows the policy is taking off."